Shopping for auto insurance in Ohio? Compare.com is here to help. Here’s everything Ohio drivers need to know about insuring their cars, including information on car insurance discounts, licensing and insurance options and Ohio’s minimum insurance requirements. Compare Ohio car insurance options and get multiple quotes for your vehicle. Start now. 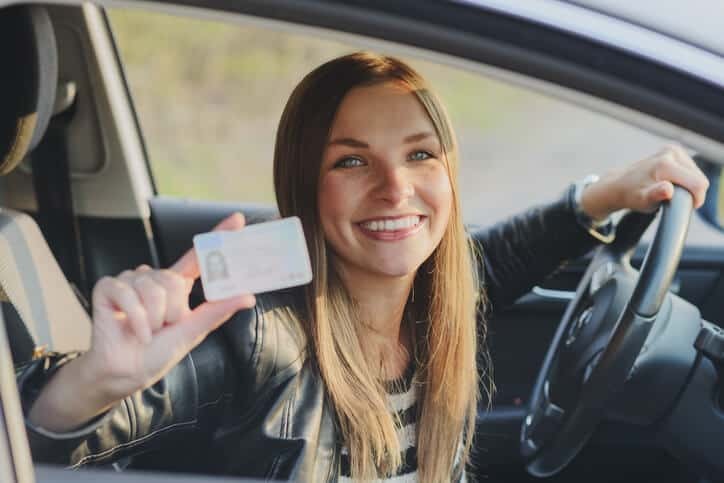 To obtain an Ohio driver’s license, applicants must present required identification and proof of residency; pay fees; pass vision, hearing, and written tests; and pass a driving and maneuverability test. Drivers under the age of 18 have a system of graduated steps on their way to full licensure. At 15, the minor can acquire an Ohio Temporary Instruction Permit with parental permission and successfully passing knowledge and vision tests. After driving at least fifty hours ticket-free, passing a driver’s education class and driving test, and holding the temporary permit for at least six months, the teen earns a probationary license. After turning 18, the driver is fully licensed. Beyond the standard driver’s license, Ohio also offers commercial, hazardous materials, and motorcycle licenses. You can also obtain a Restricted Local License, which limits drivers to a small geographic area – such as the grocery store, bank, and post office only. Learn more about Ohio driver’s licenses at Ohio Bureau of Motor Vehicles website. As with any other locality, drivers in Ohio are expected to follow the laws of the state. Since laws can vary widely among the fifty states, we’ve provided a handy primer for the relevant Ohio statutes. Unlike in many other states, not wearing a seatbelt is not a moving violation in Ohio; that is, you can’t get pulled over for just that. If you are pulled over for something else and aren’t wearing your seatbelt, you can be fined $30 as the driver and $20 as a front-seat passenger. If you’re in Ohio, you don’t want to get pulled over for anything else while you’re using your electronic device. Texting or emailing at the wheels is only a secondary offense in Ohio. However, if you’re under 18, any use of your cell phone is illegal, and it’s a primary offense. Lawsuits in Ohio apply the modified comparative negligence standard. That means that a plaintiff may recover as long as he was not more negligent than the defendant. If you’re in an accident and the court determines that you were 50% or more responsible for the accident, you aren’t able to recover for any damages. There were 290,216 motor vehicle crashes on Ohio roadways in 2011. Of those crashes, 941 were fatal; 1,015 people died. This made 2011 the safest year on record for Ohio. 64.5 percent of the fatal crashes occurred during daylight hours. Of all drivers tested, only 4.29 percent were alcohol-impaired, but they accounted for 36.35 percent of fatal crashes. 18,037 Ohio crashes involved deer. Check out the consumer tips on Ohio’s minimum coverage requirements from the Ohio Department of Insurance. You can get information about Ohio licenses, renew your license online, or find a local office on the Ohio Bureau of Motor Vehicles’ website. Better Business Bureau websites for Akron, Cincinnati, Cleveland, and Central Ohio allow consumers to file a report if they’re having trouble with their insurance company. As one of three key auto-industry states, Ohio has a long legacy of car manufacturing and racing. The place to catch a NASCAR race in Ohio – or have a go at it yourself – is the Mid-Ohio Sports Car Course in Lexington. Both Honda and Chrysler operate auto-manufacturing plants in Ohio. Into classic cars? The National Packard Museum in Warren pays homage to a great American brand. The Canton Class Car Museum displays 40 rare, unusual, and historic cars.